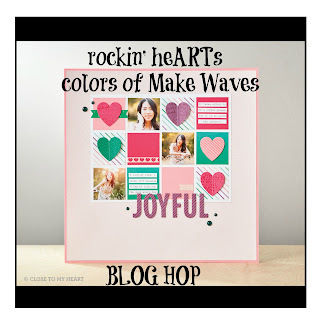 Welcome to our first Rockin' heART team blog hop! I have the most AMAZING and CREATIVE team members who love to share their artwork. This month we are sharing the Colors of Make Waves, the February featured paper collection. I am the beginning of the hop and Kim's blog is the end, it is a circle hop so when you return here you have seen all the wonderful creations shared by my team. My card today is a swap card hosted by one of the Rockin' heART team members. The swap technique this month is the braided card. I found a wonderful square version shared on pinterest. It was a Design Space uploadable file. The Make Waves focus colors in my project are Pansy, Bashful, and Lagoon and the stamped images are from this month's Stamp of the Month, Sunny Thoughts. Remember, the inside and the envelope! Are you ready to join the Close To My Heart family? 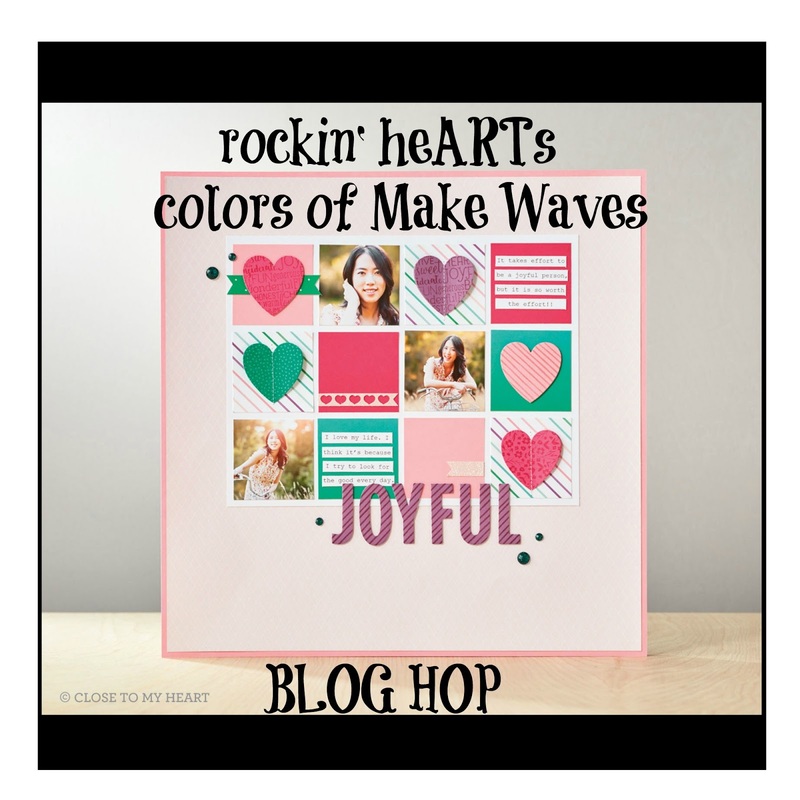 I would love to have you join the Rockin' heARTs! Now on to see what Cheryl has in store for us! !